March can be a good time to visit Toronto since the city is slowly starting to warm up, but it does have its drawbacks. The main advantage of travelling to Toronto in March is that it is during shoulder season, so there are plenty of travel bargains to be had. Hotel rates and airfare can be heavily discounted at this time. However, you will need to choose your weeks carefully. March Break is a one- or two- week holiday for Canadian public school students and is a busy time for hotels and popular attractions in the city. The weeks for March Break vary by province but is one week in Toronto, generally in the middle of the month. Overall, a visit to Toronto in March (assuming you aren’t coming during March Break) means that attractions will be less busy than during the summer months. 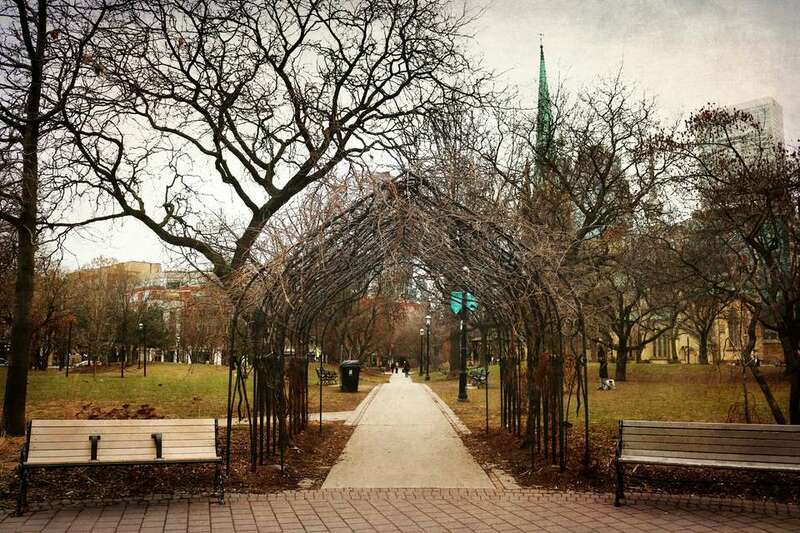 March weather in Toronto is generally warming up, but still unpredictable. Will it be t-shirt weather with early spring blossoms or a late-season snow storm? In March, you often don’t really know what you’re going to get so you'll need to pack accordingly. Since March weather in Toronto can often be unpredictable, it’s a good idea to pack for a variety of weather systems, including cold temperatures, snow and rain. This means having warm, waterproof clothing including sweaters, hoodies and a winter jacket. Think about also having a lighter jacket *like a trench coat, fleece or windbreaker), hat and gloves, closed-toe shoes and water-proof boots in case of rain or wet snow. In terms of events and activities, March is a great month to visit Toronto as there is a lot going on in the city. Not as much as you may find in July or August (high season), but you should be able find something interesting to see and do in addition to Toronto’s main attractions. Canada Blooms: If you love gardening or just want to learn more about it, Canada Blooms is Canada’s largest flower and garden festival. Expect speakers, demonstrations, workshops dedicated to all things garden-related, and many beautiful garden exhibits to check out. Toronto St. Patrick’s Day Parade: Toronto’s annual St. Patrick’s Day parade happens in March in Toronto. The fun starts at noon with the parade beginning its procession from Bloor and St. George, continuing along Bloor Street down Yonge and finishing on Queen Street at Nathan Philips Square. Celebrate Toronto: March is also when the city comes out to celebrate Toronto's anniversary at Nathan Philips Square. This is where you can shop a variety of local vendors of all kinds, fill up on food from Toronto's best food trucks, take part in an array of interactive activities honouring the city's anniversary, and enjoy some skating on the large outdoor rink at Nathan Philips Square. Winter Brewfest: If you’re a fan of craft beer, it’s worth checking out Winter Brewfest, happening early in the month at the scenic Evergreen Brick Works. You can expect more than 150 beers crafted from over 35 brewers from across Ontario and Quebec, as well as delicious food some of from Toronto’s best food trucks. One of a Kind Show and Sale: Pick up some unique souvenirs from Toronto with a visit to the annual spring One of a Kind Show and Sale where you can browse and shop from hundreds of Canadian artisans, makers and designers selling unique, handmade finds that you won’t find anywhere else. Jewellery, fashion, glass work, home décor items, body care, kids’ clothes, ceramics, textiles and edible goodies are all on offer. Toronto Sketch Comedy Festival: Sketch comedy fans should think about picking up some tickets to the various events going on at the Toronto Sketch Comedy Festival, Toronto’s longest-running comedy festival. Shopping is a good way to occupy your time on a freezing cold day, which can still happen in March. The Eaton Center is one of many indoor shopping malls in the city’s downtown core, and connects to Toronto's underground system known as PATH, filled with shops and restaurants. PATH is also connected to various subway stations. Toronto's Museums and Galleries offers respite from cold winter weather. If you are planning on visiting Toronto during March Break it’s a good idea to book your hotel room and even think about getting tickets to any shows or events you might be interested in well in advance of your visit. To learn more about if you want to visit Toronto in March or other tips on visiting Toronto during certain months, check out our guide on the best time to visit.